Expertise Areas: International Sales and Marketing, Management, Purchasing. 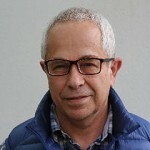 Zvika is the director at The Israel Lithuania Technology Hub (ILTH). It is a platform which was formed by the Israel Lithuania Chamber of Commerce and Industry in order to promote bilateral trade, investment and business between Israel and Lithuania. The prime target of the Hub is to promote economic growth and technological innovation in Israel and in Lithuania, by creating strong partnerships between the two economies. The ILTH offers its services and assistance to companies and institutions in both countries, to gain familiarity with the local respective markets and identify business opportunities, partners, technology transfer, joint ventures and other projects.